We've been having the conversation again, I and my wife. You know the conversation and even if you haven't been part of the conversation (yet), you've surely been the subject of it. I'm talking, of course, about deciding what traits a child got from what parent or side of the family. You know, like, "He has his mom's eyes" or "She has her grandpa's smile" or "He gets his hair from his dad's side of the family". Well, me and my girls are on vacation this week, visiting my wife's internet friends in the woods of Wisconsin (it's not as creepy or life-threatening as it sounds—though I still like joking about it). And it's been a landmark trip for my daughter. Last night she started swimming for the first time in our hotel pool (with the assistance of water-wings, of course). And—prompting the previously mentioned conversation—we found she's inherited one of her father's least-enviable traits: talking in her sleep. She woke us up at 3:45 in the morning chatting from dream land about seats, and turns, and other unintelligible things that are important to four year-olds. Why do I tell you all this in a book review? Because I have appreciated all of this more having recently read N.D. Wilson's latest book, Death By Living. His first book, Notes From the Tilt-A-Whirl, was written to help you see (you can read my review of that book here). Help you see the world in all it's minute intricacies and all it's magnificent galaxies. Help you see the beauty, the grace, the fierce power, and—most importantly—the fingerprints all over everything. 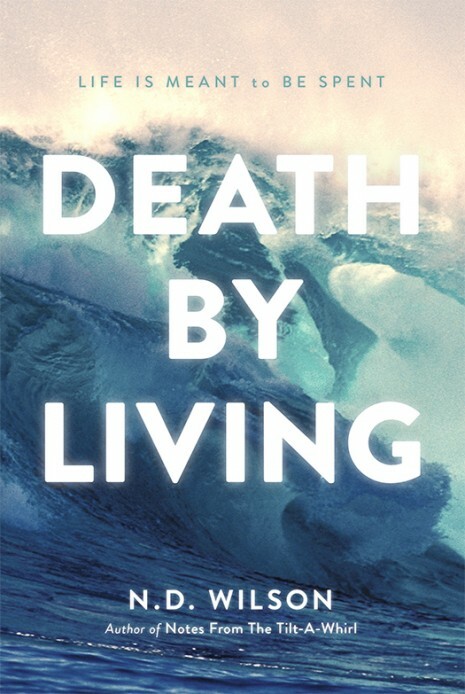 His second book, Death By Living, was written to help you live. And he does it primarily in showing that you're in a story, that your life is being written, and that it's a story worth the telling. To put it simply, N.D. Wilson's first book will help you see the world as a work of art—and see the fingerprints in it, while his second book will help you live your life as part of a story—and see the pen-strokes in it. Christian authors and, while I have enjoyed his fiction, I hope his non-fiction library will be growing for years to come. Eric Metaxas has referred to Wilson as "a young Chesterton", but I for one am thankful that he is not nearly so challenging a read as the Chesterton I have occasionally ventured into. 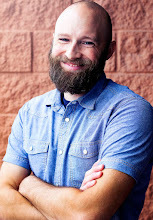 His writing style is a refreshing departure from the standard "If A and B, therefore C" type of linear and argument-dependent Christian non-fiction. No, while he doesn't leave logic at the door with the coat-check, he is compelling while being conversational. He's is spinning, selling, and soliloquizing and most of the time he is storying. And because this book isn't an argument that can be boiled down into bare logical form, I don't feel compelled to do the usual book reviewer's dance saying things like "I agreed with this" or "his argument was weak here" or such other self-aggrandizing things. Instead, I feel compelled only to say that, just as you could not read his first book and see the world the same way, you cannot read this book and live your life the same way. Recommended for: Everyone. Christian and skeptic alike, pastor and plumber alike.